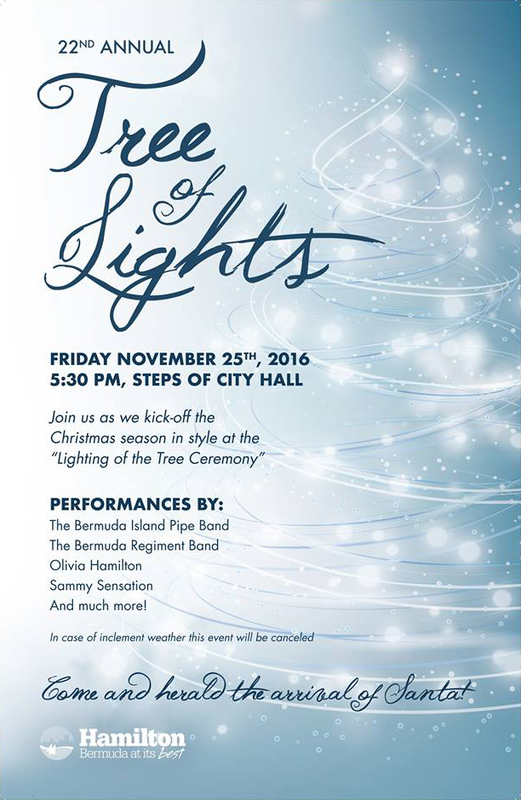 The 22nd annual Tree of Lights Tree Lighting Ceremony will be held on Friday, November 25th starting from 5.30pm at City Hall in Hamilton. According to the event poster, there will be performances by the Bermuda Island Pipe Band, the Royal Bermuda Regiment Band, Olivia Hamilton, Sammy Sensation and more;. In case of inclement weather this event will be canceled.